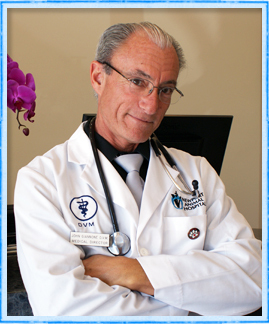 A native of New York City, Dr. John A. Giannone is the Medical Director and founding veterinarian of the Newport Animal Hospital. After graduation from high school, Dr. Giannone entered St. John’s University where he received a Bachelor of Science in Biology. He then entered the University of Parma’s College of Veterinary Medicine and Surgery in Parma, Italy, where he earned a Doctorate of Veterinary Medicine in 1978. In addition to his veterinary school education in Parma, he is also an Associate Alumnus of the College of Veterinary Medicine and Surgery at the University of Missouri, Columbia, and has continuing education certification in ultrasound, echocardiography, cryosurgery, endoscopy, dental surgery, and extracapsular lateral stabilization of the stifle. 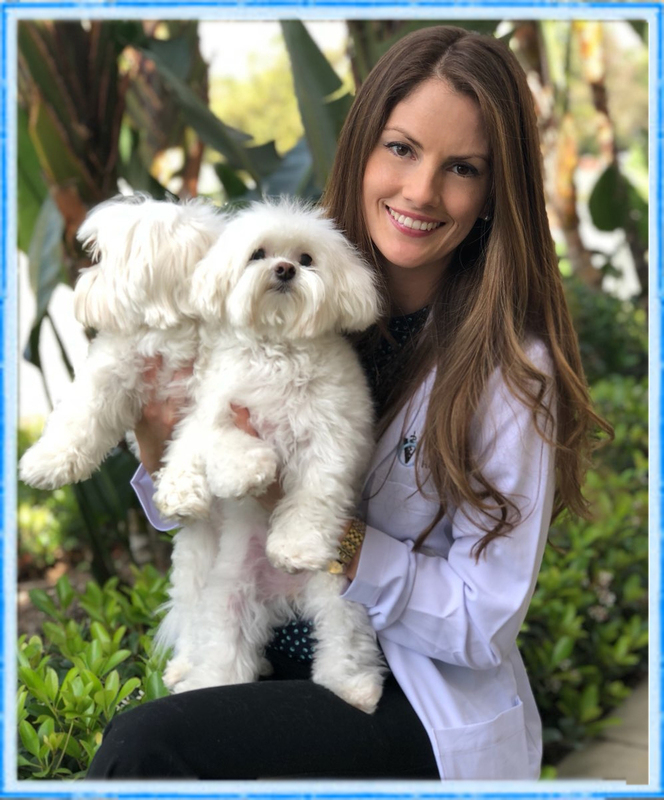 Dr. Giannone’s areas of particular professional interest include internal medicine, surgery, cardiology, critical and emergency care, and avian and exotics medicine. He is also a member of the American Animal Hospital Association, American Veterinary Medical Association, and the California Veterinary Medical Association. Though Dr. Giannone has owned many pets throughout his lifetime, he currently shares his home with Isabella, a cat that he rescued. Outside of his veterinary practice, he is a classical pianist and music composer for film and dance as well as an avid sailor. Dr. Christina Heathcock was born and raised in Northeastern Ohio. She attended both Youngstown State University where a Bachelor of Science degree in Biology was received and Case Western University in which she received a Master of Science degree in Human Applied Anatomy. Dr. Heathcock continued her education by attending Western University of Health Sciences College of Veterinary Medicine in Pomona. It was during this time that Dr. Heathcock fell in love with California. After graduating in May of 2008, Dr. Heathcock completed a rigorous year of a rotating small animal medicine, emergency and surgery internship at Friendship Hospital for Animals in Washington D.C. Here she developed an interest in internal medicine, dermatology, dentistry and emergency care. After successfully completing her internship, Dr. Heathcock moved to California to live and practice. She loves all animals, but particularly enjoys working with dogs and cats. Dr. Heathcock practices traditional medicine but believes there is an ability to more fully address the needs of her patients through the inclusion of other treatment modalities. To this end, Dr. Heathcock will soon begin a training and certification program at the Chi Institute of Traditional Chinese Veterinary Medicine In Florida. Dr. Heathcock is excited about the potential for providing the best possible care to her patients with the addition of acupuncture and other alternative methods of care. 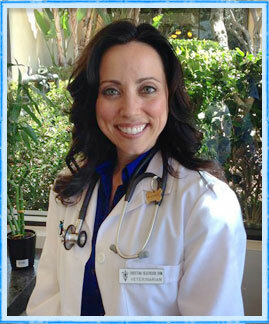 In the spare time Dr. Heathcock has, she loves traveling, reading, cooking, and enjoy anything outdoors! But most of all she is devoted to her little Chihuahua mix, Coco, her Papillon, Beemer and her geriatric kitty, Cami. only does she enjoy medicine, but she is particularly interested in surgery. During her spare time she loves being outdoors, snowboarding, hiking, biking, or playing volleyball. She loves to travel with her husband, spend time with her family and friends and attend to her two adorable Maltese pups Roxy and Bella and her bearded dragon Spike.